My least favorite part of parenting is being a manager of other humans. I know guiding our children is a part of parenting, but I desire for my daughters to figure out what they need and when they need it without much direction and suggestions from me. I know this can be seen as a lofty expectation. It is more than likely unrealistic for me to think they wouldn’t need any guidance from me, but it was a dream I had and really wanted to be true. Recently, I had to become more of a manager when it came to how and when my daughters use technology for leisure. 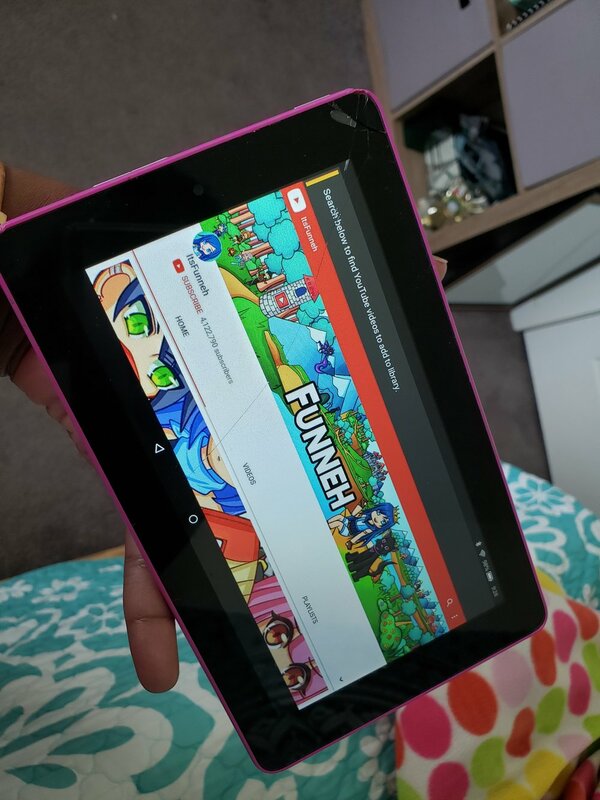 I didn’t have any guidelines initially because I didn’t seem to be a problem in our home, but the more apps, games, videos, and websites that are created to keep kids attached to their screen the more I’ve come to see that my daughters need my assistance in helping them to keep a good balance of leisure screen time and actually living their lives. In order for me to help my daughters be better managers of their time then I have to not only speak about what is expected, but I also have to live out the expectation. I limit how much television I watch and time I spend on digital devices. Limiting television time is pretty easy for me since I am not a big TV watcher. I have a handful of shows that I watch, and a good number of the shows I do watch regularly are actually shows that we watch as a family or as a couple. I’ve noticed that my daughters watch fewer shows now; with the limited amount of shows they desire to watch comes fewer hours of watching television. Now managing tablets and cell phones are different beast. I spend too much time on my phone, in my opinion. My phone isn’t just used for talking with my friends, but it is also used for taking photos, responding to messages, work, creating content, and more. I think it’s great that I am able to “achieve” so much from my phone, but it can be a distraction even when I am not needing it for something purposeful. I realize that using my phone is more of a habit now. Habitually using my phone isn’t isn’t something that I desire to model for my daughters so I have intentionally placed boundaries around the way I use my phone. I’ve removed some social media apps, my email addresses that are the most distracting are no longer on my phone, and I make it a point to create content from my computer a majority of the time. By giving my phone distinct purpose, I am less likely to use it mindlessly. I hope this change will positively influence the way my daughters use their cell phone. Recently, I added Kindle FreeTime to my daughters’ Kindle Fires. I know that they are not little kids, but you know what, I think it was a good move for all of us. For one, they can better see what they are spending the majority of their screen time on. I’ve adjusted their time limits based on how they use their Kindle Fire versus how I thought they used their Kindle Fire. They also have been introduced to new games and shows when from me placing the app on their Kindle Fires that they didn’t know exist. One thing I noticed is my daughters tended to engage with apps, sites, and shows that were recommended by their friends versus venturing out to find things that they would enjoy. As a parent, I appreciate the books, videos, and games built into Kindle Free Time. The content is age appropriate so my girls aren’t watching or reading material for little kids, but what would be suitable for their age range. I also like that I don’t have to worry too much about them accidentally seeing something inappropriate. I find it is just as important to protect my daughters as tweens and teens since these are impressionable years too. My daughters share an android phone. We added Verizon Smart Family to our plan to help manage usage time and accessible apps. Verizon Smart Family works fine generally, but honestly, I wanted more features because it only turns off the option to send texts and make calls at curfew. I needed a parental app that would also turn off social media apps and games at curfew. I was happy when Leah Neiman shared in her newsletter about Google Family Link. I have since added Google Family Link to their phone, and it has been great. The girls can request to add apps to their phone, and they can also see how much time they are spending on particular apps. I think it is just as important for them to know how they are using their time since it is very easy to be drawn into a game or app for hours without realizing how much time has gone by. My daughters and I have regular conversations about what they are watching and who they are talking to via their devices. Openly discussing what is now a regular part of our culture is a key ingredient to keeping the peace in your home especially if technology use is a source of contention. Not only do we talk about how they are using it, but I also check in on how they feel about the limitations I’ve placed on them with the parental apps I’ve installed. One common gripe is that I don’t always follow through when they send a request for new apps. We figured out that I don’t get notifications so I will need to regularly check in to see if they have sent a new request. Since Kindle Free Time blocks YouTube, I have to regularly download videos that my daughter wants to watch because she doesn’t always want to watch on the family computer. I do wish I could just approve a channel once, and the videos automatically downloaded. But, that’s not an option so I have to better in this area. I wasn’t sure how we would manage the way our daughters use technology for leisure, but it seems like we’ve figured out a method that works best for our family. The adults have adjusted to being better stewards and the children can see the good in the choices we are making to help them be good stewards too. It’s truly a blessing to see my youngest daughter automatically limit herself to two games each time she signs in to Fortnight without any prompting from me. It’s been equally great to watch my oldest daughter navigate social media wisely. A few of my friends follow her Instagram page, and they often tell me how they really enjoy her pictures and captions. Leisurely use of technology doesn’t have to be a burden, but it may take a little work to keep it from taking up too much space in your family. How do you help your teen or tween manage screen time?